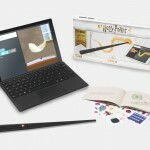 ‘Crimes of Grindelwald’ Wizarding World Wands Installation Coming to London! Today, September 20th, Warner Bros announced an installation of nine giant wands set to cast the Lumos charm on London this Fall. The installation will celebrate the release of Fantastic Beasts: The Crimes of Grindelwald, and help raise awareness for J.K. Rowling’s charity Lumos, working to raise awareness of the need to end institutionalisation of children around the world. 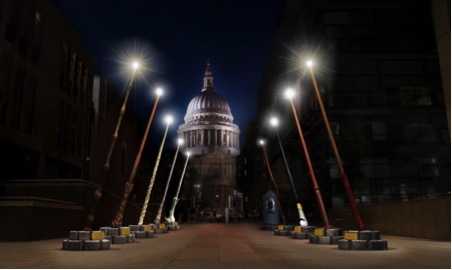 The installation will use nine character wands from the Harry Potter and Fantastic Beasts films to light up Peter’s Hill, the walkway between Millennium Bridge and St. Paul’s Cathedral in London (which we see in the trailer for Crimes of Grindelwald!). The wands will stand fifteen feet tall, and will magically light up every night at 6:45pm from 18th October to 12th November. 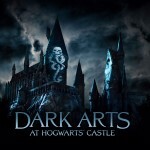 Accompanying the installation will be a series of Wizarding World activities for fans, taking place every Wizarding Wednesday, including live wand training demonstrations, and even a live marching band performance of tracks from the Harry Potter and Fantastic Beasts films! For more information keep checking the Wands Ready official Fantastic Beasts website. 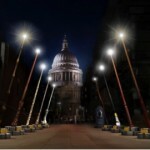 Will you be heading to St Paul’s Cathedral to see the installation beginning October 18th? We sure will, so look out for our photos!